Today is a very special day indeed! The 50th Anniversary of Doctor Who! Some buddies and I are doing a blog hop in celebration so when you're done here make sure to click on the button at the bottom of the post to see the next lunch and follow along to see them all! Check out some other Who lunches I've made in the past! Now it's time to check out what my buddy Karen has in store for you over at What's In Our Lunch Bags? Exterminate! All of them are gorgeous. Fantastic! That sandwich came out perfectly! And I had forgotten about your K9 lunch...all are amazing! 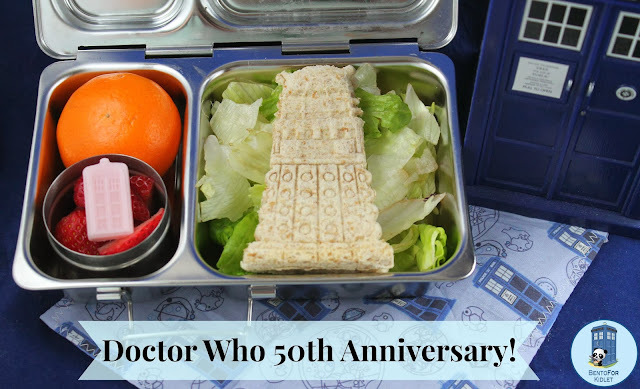 The detail on your Dalek sammy came out good! my boys and I always love seeing what you make for your son's lunch - awesome, as always! Your DW lunches are some of my all time favorites. Love the tiny TARDIS, too! Absolutely fantastic! 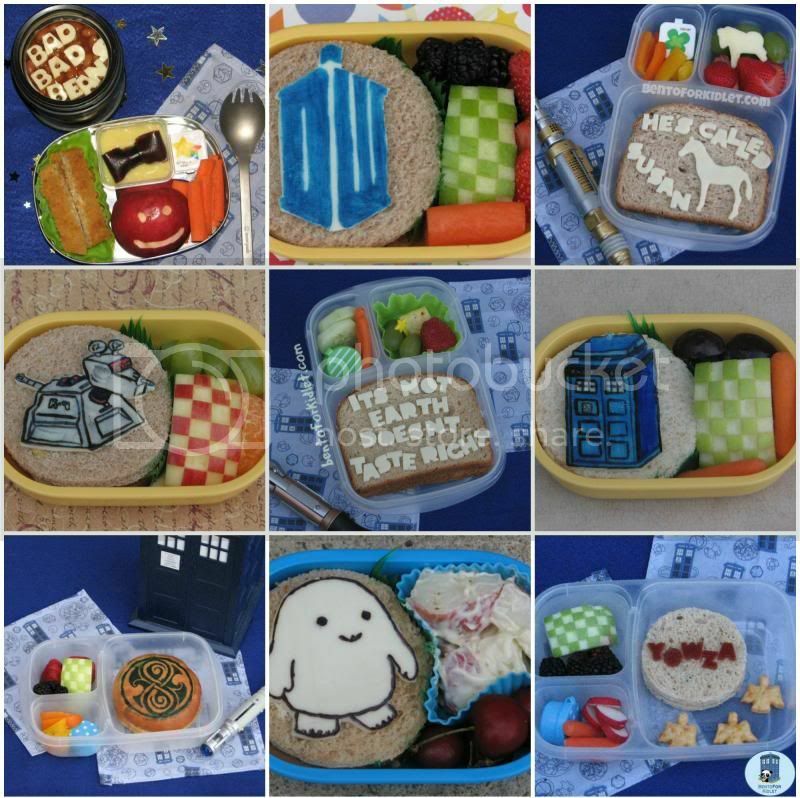 I love all your Whovian lunches!! !